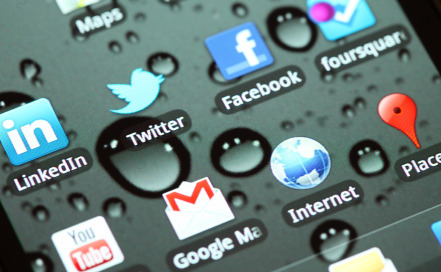 Social Media Policies: Is Your Procrastination Putting Your Company at Risk? Think your employees aren’t on Twitter (or Facebook, LinkedIn, or any of the countless other social media and networking platforms)? Think they aren’t talking about your company? Think again. Even in the best of cases, with the most responsible and loyal employees, questions are bound to arise around social media usage about the line between personal and professional use, between acceptable and unacceptable comments, between constructive criticism and outright harassment. A social media policy can answer many of those questions – and set the rules for dealing with transgressions before they happen. But that’s easier said than done. Sometimes there’s no hard line between appropriate and inappropriate employee behavior, and attempts to draw one are often rebuffed by The National Labor Relations Board – the government agency that investigates and remedies unfair labor practices – as infringing on employee rights and, as such, unlawful. And the problem isn’t going away soon: a mid-year survey by the U.S. Chamber of Commerce found that the NLRB had already reviewed more than 129 cases this year involving social media. What’s so important about a social media policy? A policy manages employee time and expectations, protects your brand and corporate image, and ensures that the NLRB can verify that you set clear and appropriate boundaries on what employees can and cannot say and do in their social media activity. Why not just forbid employees from any mention whatsoever of their employer on Facebook, Twitter and the like? Because it won’t work. Like it or not, social media is here to stay, and pushing draconian policies down the throats of workers is akin to telling them they’re not allowed to use the telephone for personal calls at the office AND at home. More importantly, the NLRB generally doesn’t look too kindly on employers who fire workers based on overly restrictive social media policies. For example, in one instance “the [NLRB] found that an employer’s social media policy was over-broad (and therefore unlawful) because it prohibited employees from posting pictures of themselves in any media, online or offline, that depicted the company in any way, even by simply including a company uniform or corporate logo… because it would effectively prohibit employees from engaging in protected activity, such as posting pictures of lawful picketing that used a company name or logo.” (NLRB Offers Useful Guidance for Employers In Summary Report on Social Media Cases by Franczek Radelet P.C.). The bottom line on policies? What if the policy is good and sets the appropriate limits? Can an employer terminate an employee who crosses the line and posts negative comments about her boss in a public forum like Facebook? Not necessarily, because in many instances, the National Labor Relations Act gives employees the right to criticize their employers, in whatever forum they wish. Perhaps even more significantly, it would appear that the NLRB is adopting a measured approach to its interpretation of protected activity: “in a number of cases, the NLRB found that the use of social media to simply air individual gripes was not protected activity.” (Helpful Guidance Summarizing the National Labor Relations Board’s Position on Social Media Issues: Two Reports and One Decision by Epstein Becker & Green, P.C.) This is good news for employers, but it underscores the need to analyze on a case-by-case basis what they consider to be inappropriate social media activity, before they take any action with respect to employee termination. What are the takeaways for employers?